The purpose of this publication is to help produce managers and buyers reap the many rewards of buying local food. In it we discuss the practical basics of buying produce from local growers in your community. The information we present is directed at grocery store and wholesale purchasers but may be useful for other audiences. Purchasing locally grown farm products can be a smart business decision when your customers are seeking food sourced from local farms. Increasingly, customers expect to see the farm products of their county, state, and region represented on their plates and in their carts. The US Department of Agriculture (USDA) reports that the local foods sector is a steadily growing market nationally, worth $6.1 billion in 2012 (Low, et al 2015). If North Carolina consumers spent 10% of their food dollars on local produce, the market could be worth $3.5 billion annually or more for our state (NC 10% Campaign). Demand for local produce has exceeded demand for organic (Onozaka, Nurse, and Thilmany McFadden, 2010). However, there is no agreed-upon definition of “local” (Hand and Martinez 2010). Consider developing your business’s definition based on your customers’ expectations, which may vary. 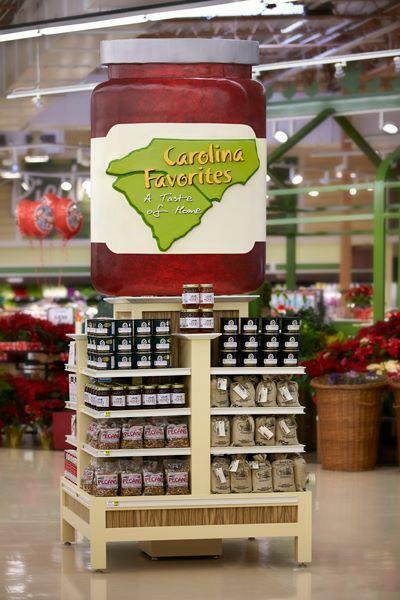 While some customers prefer to see farm products from their own communities, other customers may include regional products in their definition of local, and still others may look for state branding (e.g., Got to Be NC)(Figure 1). Clearly defining what local means for your business can help ensure the authenticity of your marketing. Customers may also think that local food is automatically organic or sustainable. Local growers use a variety of techniques to raise produce. It is important to communicate with your customers about how the local produce you purchase is grown. Figure 1. Example of state branding. Sharing growers’ stories with customers is a marketing opportunity and selling point for local products. Local farmers may be able to provide a greater range of specialty items than traditional suppliers. Buyers have suggested that they benefit from having a more direct line of communication with growers, which is more feasible with a local relationship. Local farmers may be more flexible on delivery times and better able to meet last minute requests. From a consumer perspective, social responsibility for a food sector business may include giving back to the community, supporting small farmers, and keeping food dollars in the community. Some consumers also equate social responsibility with environmentally friendly practices (Williams 2013). Buying local produce can enhance your business’s public image and fulfill social responsibility goals. Furthermore, making consumers aware of the potential social and environmental benefits of buying local products can increase consumer purchases (Williams 2013). When you buy from local farmers, your customers can know that their purchases benefit those farmers through increased revenue and an expanded customer base (Community Science 2013). In addition, communities can benefit from the economic multiplier effects of buying local, including job creation and increased tax revenue (Schmit, et al 2013). Local farmers markets are good places to find producers with experience in niche and specialty products (Figure 2). Markets in your area can be found through the NC Department of Agriculture & Consumer Services (NCDA&CS), Marketing Division’s NC Farm Fresh website. Your county Cooperative Extension office’s local food coordinator or agriculture agent may be able to provide a list of local farmers interested in selling wholesale. Visit NC Cooperative Extension to find your local Extension office. The NCDA&CS North Carolina Grower-Shipper Directory lists growers by the products they offer and provides contact information. Figure 2. Local farmers markets are good places to find producers. Good communication. This includes quick response to e-mails, phone calls, or texts, once you both agree on your preferred mode of communication. Previous growing experience. Several years of commercial production experience provides a grower with practical knowledge of the opportunities and challenges of production, handling, and storage. These growers will be better prepared to establish sustainable agreements and assess their ability to satisfy any special requests you may bring to them. Attention to quality and a willingness to replace product in the event of a problem. Previous experience with retail sales of produce. This experience ideally includes knowledge of packaging and grading standards and PLU/UPC codes in warehouse and retail environments. Farmers who are new to mainstream supply chains can make good partners but may need more of a trial period as they adjust to the new market. Cold storage. Farmer access to cold storage can be a critical factor for maintaining quality of some products. If this is important to your business, ensure that your farm partner has access to sufficient amounts of appropriate cold storage. Web presence. A good website or a strong following on social media is also an opportunity for your grower to cross-promote your business. Understanding of packaging, delivery, food safety, and liability insurance are also factors to consider. More details on these factors are described in the following sections of this publication. Seasonal Availability. Buyers have successfully sourced locally grown lettuce and greens on a seasonal basis and a variety of root vegetables year-round. Other items, such as tree fruits and field grown tomatoes, may be more difficult to find out of season. Familiarity with the North Carolina produce availability calendar will make you a savvy local product buyer by helping you focus on in-season products. Also, you may be able to buy local produce beyond the standard season by seeking out growers who use production techniques, such as high tunnels, that extend the growing season. These producers may be able to offer crops earlier and later in the season than national sources, which may further appeal to your customers. Seasonal price. Prices for local products fluctuate with the availability of crops from the local area and region depending on weather and other factors. Because of this, prices for local products could be higher or lower than national or global sources depending on local conditions and the time of year. Grower availability. Consider how many growers are available to meet your needs for each product you plan to source locally and what volume of product they will be able to provide to you. You also may find opportunities to purchase from local growers along your existing sourcing routes. Consumer demand. Consumers may believe that certain products, such as sweet corn, are higher quality and taste better when they come from local farmers. Investing in products with high consumer demand for local production may be more successful than investing in products that consumers do not associate with their local farming community. Value-added products. Consumer demand for local products extends beyond fruits and vegetables. Consider sourcing value-added items, such as honey, from local producers (Figure 3). Some value-added producers, such as honey producers, can be found on the Got to Be NC Agriculture General Store website. Figure 3. Marketing signage for value-added products. Getting the best out of local products means building strong relationships with good farmers. Investing in clear communication and expectations will pay off over time, resulting in less work for you and better quality products for your customers. Establish a “trial period” with new farm products where buyer and farmer both provide feedback on the relationship. Negotiate price and volume on a week-by-week basis dependent on product availability, or make a pre-season arrangement for purchases if that better suits your needs. If the quality of products does not meet your standards, give the grower feedback and a chance to fix the problem. Let farmers know if customers are particularly pleased with a product. Market with your farms. Encourage them to use social media to advertise their products for sale through your business. If you and your customers are interested in local products grown according to organic standards or without the use of synthetic chemicals or other specific production or handling preferences, talk to your grower about their growing practices. Clearly communicate how and when growers will be paid. Let them know what actions they must undertake to receive payment and how often and in what fashion they will be paid, such as whether checks will be mailed or available for pickup. Consider working on more flexible payment terms for growers based on your company’s policies. Local growers may appreciate cash-on-delivery (COD) or less than net 14 days payment. Be clear about your requirements for invoicing (Figure 4), insurance, and food safety. Clearly communicate with your producers about packaging and delivery expectations, including PLU/UPC codes, product specifications, etc. (Figure 5). Delivery days, times, and locations. Many retail stores prefer to use Direct-Store-Delivery (DSD) for local products rather than receiving them at a warehouse. Resource: Building Local Food Sales in Retail Settings: Bringing on New Fruit & Vegetable Farmers, A Visual Guide and Checklist for Direct-Store-Delivery. 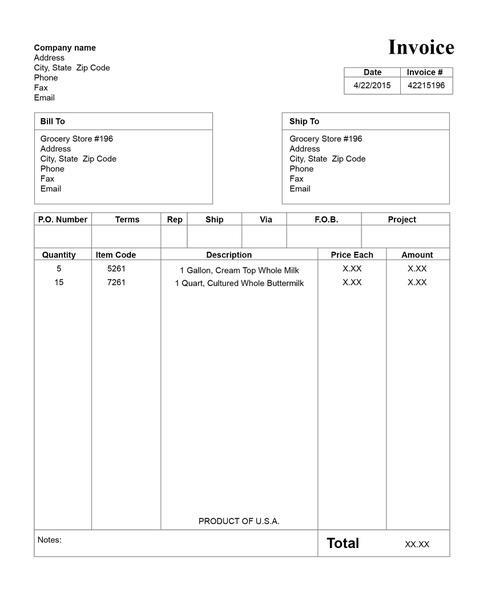 Ensure that your growers understand which products require PLU or UPC codes (Figure 5). The NC Growing Together project has produced an Extension publication on understanding PLU and UPC codes that may be helpful for communicating your needs to growers. Resource: Tips for Marketing Fresh Produce to Retail Grocers: Understanding PLU and UPC Codes. LF-02. Clearly communicate with your grower about your food safety expectations as a best practice. Some growers may be GAP/GHP (Good Agricultural Practices/Good Handling Practices) certified. Other growers may have attended training sessions or developed a food safety plan, and may be following accepted food safety practices, but they may not have incurred the cost of undergoing a third-party audit to get certified. It is important to ask growers about their practices and communicate your expectations. Communicate with growers to ensure that their liability insurance meets your business’s requirements. Not all farmers will have liability insurance, or they may not be covered to the extent that your company typically requires. As a result, suitable coverage may be a new expense for them. If growers you want to source from are new to liability insurance, you can direct them to the NC Cooperative Extension resource, Insurance Coverage Options for Fresh Produce Growers for more information. Local food feature: Choose a product to focus on weekly, monthly, or seasonally, such as a “Harvest of the Month” feature. Focus on quality: Start with the one local product that would greatly improve your selection and meet consumer demand. Ease of transition: Choose products that are abundantly available in North Carolina that you also use in volume. Flagship Items: Select products that will catch your customers’ attention. Seasonal variations: Choose crops that are available in abundance. Flexibility may save you money! Can you buy in bulk at the last minute to save a product on a farm from going to waste? Often, farmers would rather sell a large lot for a low price than feed it to the chickens or the compost. Can you buy “seconds” (aesthetically blemished but safe products) for a lower price? If you’re selling to processors or kitchens, they may not mind! Figure 5. PLU code (left) and UPC code (right). Local produce prices vary according to many factors, including local market availability, shipping distances, product quality, farm size (scale), the season, and weather-related factors. 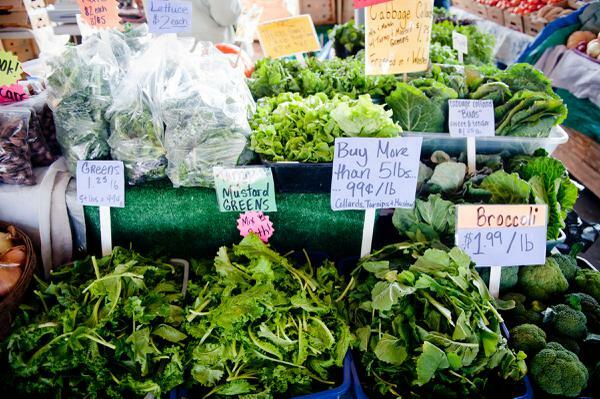 Buyers often expect local food to be less expensive due to decreased transportation costs. However, smaller-scale farms cannot always achieve the same prices as larger farms that may benefit from economies of scale. Small farmers may expect higher prices than standard wholesale rates for their products to help them offset their higher costs of production, especially for out-of-season products such as greenhouse tomatoes. Customers may be willing to pay more for local products sourced from small or local farms, which can offset additional costs to you. Clearly and authentically labeling your local products is crucial to maximizing their market potential and encouraging your consumers to choose local products in the long term. Research shows that customers respond to local products marketed as fresh, being a good value, and having direct social impacts (Williams 2013). Consider displaying the names and locations of the farms you work with along with a photograph. You also may want to include more information, such as how long the farm has been operating, or a statement from the farmer. Talk to your grower about information they are comfortable posting for consumers. Marketing materials should let your customers know that their purchase makes a difference. Highlight how buying local products benefits farmers and local communities. See suggestions in Building Local Foods Sales in Retail Settings: Authenticity and Success in Marketing Local Foods, Review and Recommendations. In a grocery or wholesale setting, consider “Meet the Farmer” events where customers can meet the farmers who grow the local produce sold in the store. See recommendations in Building Local Foods Sales in Retail Settings: Holding Successful “Meet the Farmer Events,” Assessment and Recommendations. Engage your customers by communicating seasonal variations to them. Post a copy of the NCDA&CS seasonal produce calendar or advertise upcoming crops. Take note: if the farmers you work with use season extenders, their product availability will differ from the produce availability chart. Community Science. 2013. SNAP Healthy Food Incentives: Cluster Evaluation: 2013 Final Report. Hand, M. S., & Martinez, S. 2010. Just What Does Local Mean? Choices, 25(1), 13–18. Low, S.A., Adalja, A., Beaulieu, E., Key, N., Martinez, S., Melton, A., Perez, A., Ralston, K., Stewart, H., Suttles, S., Vogel, S., and Jablonski, B.B.R. 2015. Trends in U.S. Local and Regional Food Systems: A Report to Congress. Onozaka, Y., Nurse, G., & Thilmany McFadden, D. (2010). Local Food Consumers: How Motivations and Perceptions Translate to Buying Behavior. Choices, 25(1), 1-6. Williams, J. 2013. Building Local Foods Sales in Retail Settings: Authenticity and Success in Marketing “Local” Review and Recommendations. Schmit, T.M., Jablonski, B.B.R., and Kay, D. 2013. Assessing the Economic Impacts of Regional Food Hubs: the Case of Regional Access. For marketing guidance, contact the Marketing Division at the North Carolina Department of Agriculture & Consumer Services. The authors wish to express appreciation to Kathryn Boys, Rebecca Dunning, Ariel Fugate, Tony Haywood, Kevin Hardison, Debra Ireland, Patricia Tripp, and Derek Washburn for reviewing and providing helpful input or edits to this publication. This material is based upon work that is supported by the Southern Risk Management Association. This material is also based upon work that is supported by the National Institute of Food and Agriculture, US Department of Agriculture, under award number 2013-68004-20363. Any opinions, findings, conclusions, or recommendations expressed in this publication are those of the author(s) and do not necessarily reflect the view of the US Department of Agriculture. CEFS is a partnership of North Carolina State University (NC State), North Carolina Agricultural & Technical State University (NC A&T), and the North Carolina Department of Agriculture & Consumer Services (NCDA&CS).